The size of the machine has a correlation on the amount of work the tool can handle at a time. This is commercial-based office equipment that runs on a print speed of 42 papers per minute. In addition, it has an inbuilt wireless and Ethernet connection to manage all the virtual operations in just a click of a button. You can print, scan copy and fax in just a simple click. The network interfaces are simple and straightforward. The automated document feeder and an output capacity of 50 pages prove the functionality in the modern handling of output functions. With a print resolution of 1200 by 1200 then you are sure of fast performance. You can save paper and toner using the duplex – the fact that it can print on both sides then you can save paper usage by almost 50 percent. If you have content on external storage devices then you do not need a computer to access and run any of the output processes. 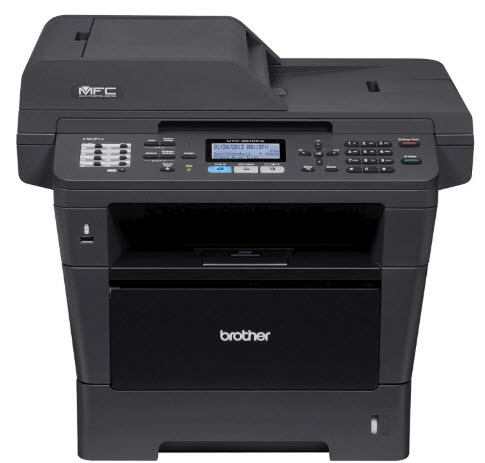 Generally, the 300-sheet input capacity; mobile printing option; wireless connection and other value-added features give this tool an upper hand to manage all the bulk office operations with ease. 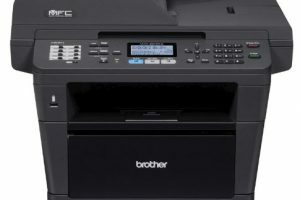 Brother MFC-8910DW Printer Driver is licensed as freeware for PC or laptop with Windows 32 bit and 64 bit operating system. It is in printers category and is available to all software users as a free download.